Every year, the king of fruits makes its way to the markets of Singapore. This much-awaited season is something that a lot of Singaporeans—and even visitors—look forward to. The streets are bustling with durian stalls and vendors, each claiming to have the freshest and sweetest durians you will ever find. For durian lovers who have been regularly buying this fruit, it is not uncommon that they have found their trusted durian seller. They frequently visit this durian stalls so they can take something home and share with their families or even enjoy eating them right there and then. Still, if you are new to buying durians or would want to find a top durian seller in Singapore, this list will help you. We have listed the best durian stall in Singapore that you can visit any day even if durian season is not yet around. And if you want to have your durians delivered to you, we have also made this option available at the bottom of this list so you can have the best durian in Singapore whenever you want! For those living in the western part of Singapore, Ah Seng Durian is widely known among locals. Owned and managed by Ah Seng himself, he makes sure that the quality of the durians he sells are great by visiting his plantations regularly. Ah Seng checks the freshness and taste of the durians so he can guarantee that his customers will only get the best. He has a reputation for being an honest seller and is often present in his stall to personally serve his customers. Because of Ah Seng’s friendly personality, locals see him as having the best durian stall in Singapore. Being around for more than 50 years, Combat Durian is now a household name for Central Singaporeans. Mr. Ang, who owns the stall is already in his seventies but is still serving durians to his customers himself. Combat Durian patrons love being served by the friendly Mr. Ang since he will assist them in picking the right durian that will suit their tastes. He has coined the term “Sultan Durian” for the D24 variety and sells a special kind of Mao Shan Wang durian that he calls Wang Zhong Wang. Combat Durian has its plantation in Malaysia and specializes selling one of the best Mao Shan Wang durians. Whether you want to buy fresh durian to take home or enjoy eating one during your night out with friends, 717 Trading is a famous go-to place. 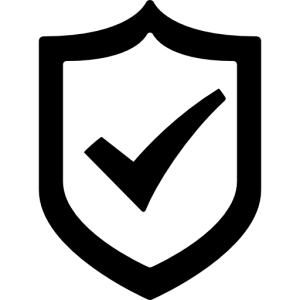 They have the reputation of being honest sellers that provide a friendly service to their customers. This is the reason why they were able to build a string of devoted patrons who regularly buy durians from their stall. With a humble roadside location, customers can enjoy their durians at the tables and chairs located outside. For fans of durian pastries and sweets, 717 Trading has opened an extension shop around the corner from their stall’s location called Durian Empire. They offer tasty durian pastries like tarts, cakes, puffs, and crepes that durian lovers will surely like. Customers of Mr. Leong Tee only have kind words to say about him. His reputation is due to the fact that not only does he personally sell durians to his customers, he also makes sure that they get what they want. He sells a variety of durians and ensures that they are fresh and sweet to make his customers happy. Customers have become loyal to Leong Tee Durian since this kind uncle will gladly open up another durian for you if you are not satisfied with the one you’re having. He takes care of his employees by asking them their preferences and choosing the right one accordingly. While most of the durian stalls listed here are owned by uncles who have been in the trade for decades, this new one makes it on the list of best durian stall in Singapore. Giving a modern vibe to your regular durian stalls, Durian Kaki is owned by young durian lovers who want to carry on the tradition of selling fresh and top quality durians. They let their customers enjoy their durians inside their air-conditioned stall as if they are in a café, making it an instant hit for young durian lovers and anyone who wants to enjoy their durians out of the hot and humid weather. Four Seasons Durian is slightly different from your traditional durian stall in that they offer more towards pastries and durian inspired products. That isn’t to say that they aren’t a good choice for durians though, however be prepared to pay more than your local durian stall. Four Seasons Durian also caters to corporate events, and they’re known to be able to set up booths to make durian related products for employees during company events. If you’re looking for good old traditional durian, then Four Seasons might not be the best choice. However, if you’re looking to host a durian party or a feast for durian lovers, then they are a pretty good option as they have everything durian lovers might love all in one place! They do have physical booths all over Singapore, but we recommend that you head over to their website if you want to see what they have to offer. The Durian Tree was founded by two young brothers, Melvin and Andy. In the trend nowadays, young people are starting their own businesses and slowly taking over their older competitors by being customer service centric and competing on affordability and reliability. That is certainly the case here with The Durian Tree. It also speaks to the brothers’ business savvy that they started a store in the west side of Singapore, in Bukit Batok, which allows them to cater to a relatively underserved durian lovers’ market there. Because they are fairly new, they have been known to run out of durians pretty fast. 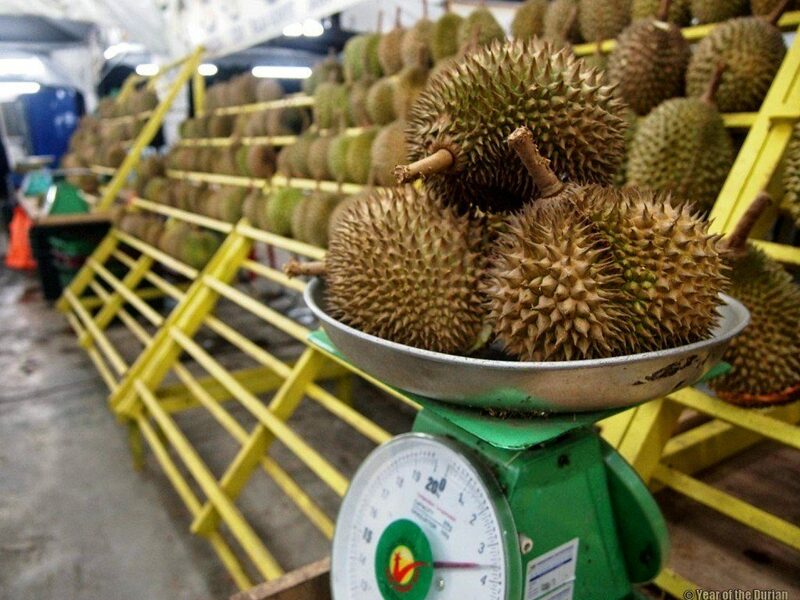 If you want to get durians from them, ensure that you head over to their store early to get the best of their produce. The Durian Tree is also known for their Mao Shan Wang and Wang Zhong Wang variety, and prides themselves on honesty, integrity and customer service. Head down over to their store if you want to see that for yourself! Unfortunately, The Durian Tree doesn’t offer any delivery service. If you’re looking for durians that are known to be better than most durians in Singapore, then 818 Durian might be a place you want to try out. Started by Mr Goh Cheng Miang, 818 Durian started out as a humble durian store in the market, before branching out to providing pastries and other durian-related foods. One thing that Mr Goh is extremely proud of is that he claims that his durians come from plantations that do not use any pesticides, making them organic durian. While we’re not sure whether this would make them taste better, Mr Goh certainly thinks so. The durian prices at 818 durian might be slightly higher, but if you’re someone that values eating only the healthiest versions of your food, then perhaps 818 Durian would be the store for you! Durian and desserts are one of our favourite foods, and Durian Mpire has brought them together! Claiming to use only the freshest durians, Durian Mpire is a store that has gained a reputation as the place to go if you’re looking for durian desserts. Offering a mouth-watering variety of durian desserts from durian mocha to durian puffs and actual fresh durian, you’re sure to be spoilt for choice if you head down to Durian Mpire! They have delightful desserts like Durian Crepes, Durian Puffs, Durian Ice Cream and much more. For those who are looking to try their fresh durian though, it’s best to head down during the season as they have stated that their fresh durians’ taste and quality are highly dependent on seasonality. Durian Mpire has 3 outlets, so if you see them anywhere, be sure to give them a look! 227 Katong Durian is known to be the new kid on the block. It was only in 2008 that they progressed from a makeshift shop to an actual shop! However, their newness doesn’t make them any less competitive! If you’ve been a durian lover long, you’ll surely have heard of 227 Katong Durian. 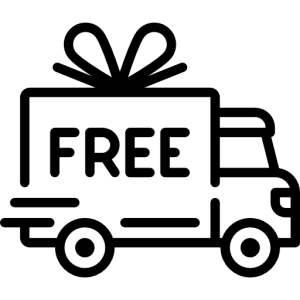 While their quality isn’t that well known, they are certainly known for their extremely reasonable prices, as well as their aggressive promotions. 227 Katong Durian are probably the durian sellers that gives the most price promotions, year over year and month after month. If you’re looking to get your durians at a discount, keeping a good lookout for their Facebook page would probably be a good idea. Aside from their lower prices, 227 Katong Durian is also known for their wide variety of durians. From XO durian to Red Prawn and even Kampung Durian, you will definitely find several types of durians when you head there. One tip though – if you’re those that want super good durians, then you should consider purchasing their higher value durians which they guarantee and exchange for you on the spot! What if you can’t buy durians from stalls? While these best durian stalls in Singapore can provide fresh and quality durians, there are times when you just can’t head over and buy them because of a busy schedule. Don’t let this stop you for you can have your durians delivered right at your doorstep so you can have your fill of durians whenever you want! 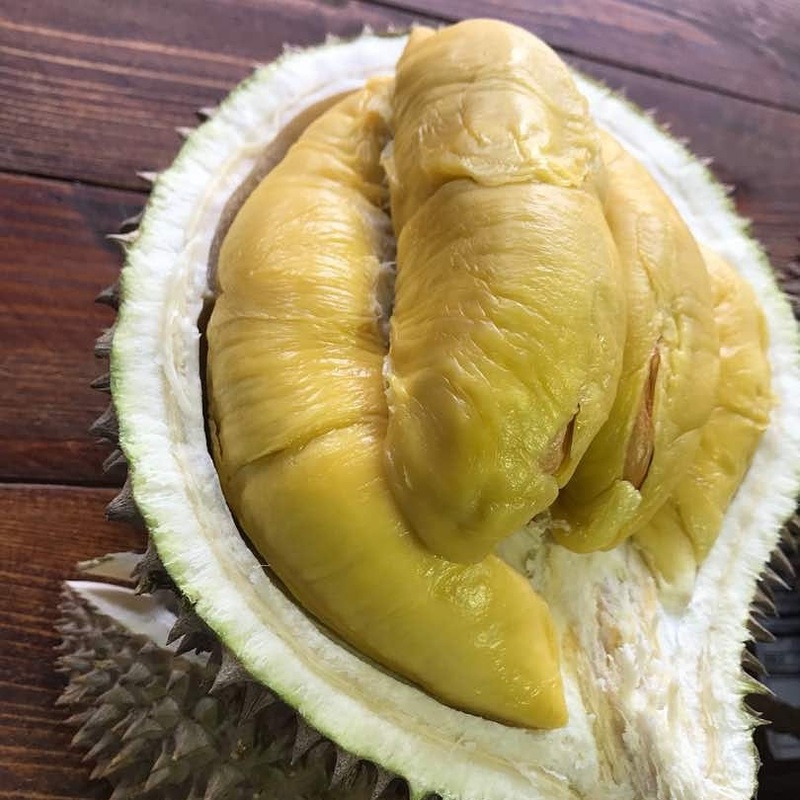 Durian Delivery is your top durian seller in Singapore that offers a wide array of durian varieties like XO D24, D1 Red Prawn, Mao Shan Wang, Royal MSW, and D101. To ensure high quality and freshness, your durians are delivered to you within six to twelve hours from the time they were picked from the plantations. Durians are delivered in air-conditioned vehicles to prevent them from becoming watery and spoil their bitter and sweet taste. What’s more, you can have cheap durian in Singapore wherever you are without sacrificing the quality! Being durian lovers as well, Durian Delivery is dedicated to satisfying their customers with whatever preference they have for durians. With Durian Delivery, you will only get the best service and the best freshly plucked durians every single time! Thank you for ur recommending Durian Kaki, we have relocated to 935, Yishun Central 1, 760935 #01-43. The new store is bigger, fully aircon, nearer to MRT and most importantly we added a kids playroom so parents can enjoy their durian at peace. For more enquirers feel free to reach us at +65 8405 8509.